We are ready to work with your ideas, or develop a plan with you that will suit your style and fit your budget. We take pride in the quality of our work, we want you to be satisfied and we delight in delivering beyond your expectations. Our work encompasses everything from the smallest renovations to beautiful custom house designs, house construction and office spaces. Our experience brings to clients first-class workmanship with fast track capabilities from design to house construction completion. We will work hard to satisfy every specific criteria you have and do it at the lowest possible price – with the highest standard of quality and exceptional customer service. So if you are looking to have a new home built from the ground up, adding or remodeling that room you’ve always wanted to get, or just putting a new deck at the back of your house, be sure to call us for all your house and office construction and remodeling needs! • Utilize the latest available technology in the field of construction to be able to contribute to the development of the construction industry in the Philippines. Quality is the utmost value that the company upholds. Such value shall be substantially articulated and inbuilt in the accomplishment of all our dealings and pervades the way we work. It shall be manifested in the distinction of our craftsmanship and services as reflected in the continued satisfaction of our clients and customers. It shall be seen in the incomparable result of our individual and collective work. With high quality house construction comes Good Service – the collective expertise, skills and experiences of our team of field architects, engineers, ingenious designer, systematic personnel and skilled workers is combined with professional and personalized customer service. This insures value for money for all our clients. In addition, CMBuilders employs the latest software most useful in aspects of architectural design and rendering; with an ultimate goal to be Globally Competitive in the field of architecture and engineering especially in house designs and house construction. We shall intensely strive to constantly abide by these values as the foundation of our organization, our procedures, facilities, structure and our construction services. 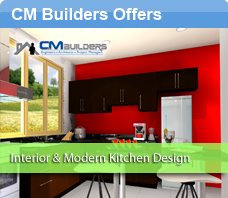 CMBuilders is a professional Architectural / Engineering firm specializing in Space Planning, Design Aesthetics, Office and House Construction and Construction Management. It is staffed by Architects with Professional Engineers and Consultants with collective knowledge and extensive experience from various projects over the years. Our professional services encompass the entire range starting from the initial contract, Project Requirements Identification, House Design Program Studies, Schematic Phase, Design Development Phase, Production of Contract Documents, Preparation of Construction Contracts, Site Progress inspection, Coordination, Post Design and Construction, Evaluation, and Value Engineering Services. We are capable of handling multiple, various types of projects all at the same time. We also have the capability to organically expand in manpower to meet larger projects. CMBuilders has worked on various types of projects both Private Residences and Company Offices in the Philippines.